A large 4-bedroom home with two bathrooms, is truely a home away from home. Fully furnished with all the mod-cons, including a dishwasher and full laundry, to give you the perfect stay. Only a 5 minute stroll to the town centre, beach, whalewatch and tourist activities, our holiday home is so central to everything you need. You will love the large covered deck capturing the all-day sun. For added security there is access to the back section through a gate for the boat and extra vehicles. A lockup garage is available for motorbikes. Section is fully-fenced for young children and small dogs. Christmas and New year there is a minimum of 4 night stay. Maximum 10 people, including children. Nightly rate is a set price for 1-10 people. Babies in Portacots, no charge. Weekly and monthly rates apply. Small dogs allowed. Property is fully-fenced. Great location, busy road, but it is SH1 so expected, well equipped clean and comfortable. This place is in a perfect location, only a 5 minute walk to the main street of Kaikoura. 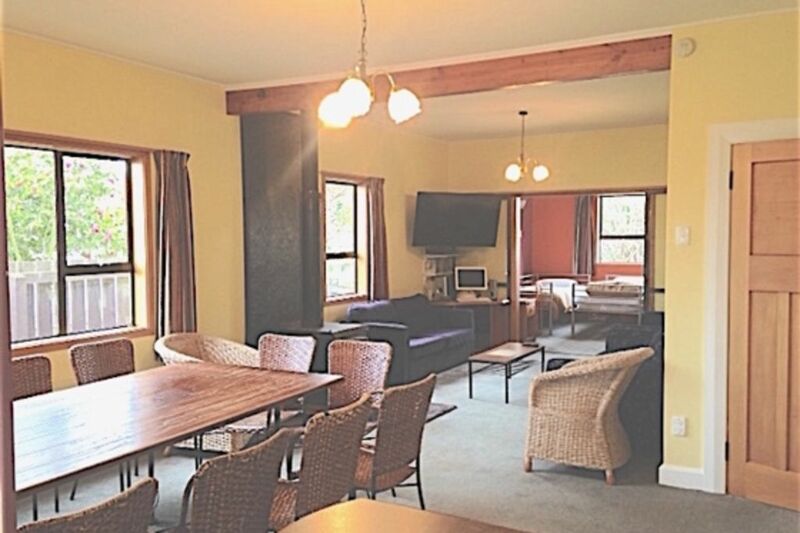 This place is in a perfect location, only a 5 minute walk to the main street of Kaikoura. The house is on the main highway but once inside you don't even notice. The facilities were great - sky TV for the Rugby was great! The fact that there is a washing machine, drier and dishwasher also made it nice to be in. The only downside was that the house was poorly insulated, however there was a fireplace and once that was roaring we almost didn't notice the insulation issue.